I found HAYATO & KANNA! I see what you did there, you. 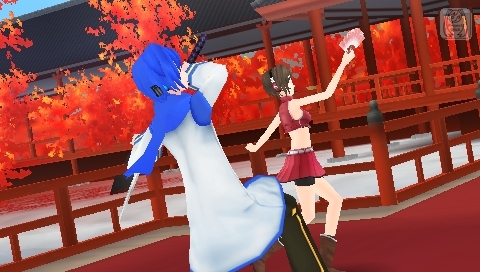 there is no video or anything of media sorts in this thread, so its getting moved to "Art"
Basically it's from a VOCALOID song named "Tsugai Kogarashi", and that picture is taken from the PV mode of Project DIVA Extend PSP. The videos don't belong to me, but that picture belongs to me and taken from my PSP.